The voopoo drag 157W resin edition utilizes dual external cells with up to 157 watts of output. It also features a super mode, a wide range of temperature modes and is built with a US Gene Chip for safe, stable and the fastest firing speed in the marketplace. In addition to its high-end technical design, the way the mod looks is also modern. The design is very streamlined with a colorful carbon fiber panel on one side, that comes in either black or brown, and a battery cover with a large Drag logo. The device is also portable with dimensions of 54mm x 90mm x 24mm. On the control face, you will see a crystal clear OLED display with a menu that displays current battery level, mode, resistance or voltage and wattage. 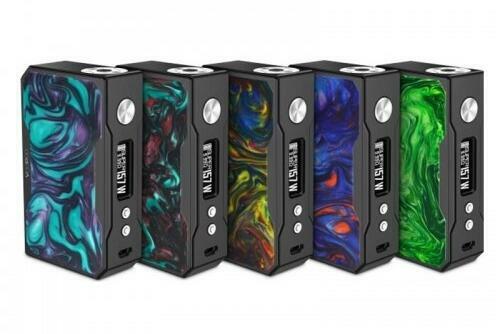 The menu and mod can be also be customized via computer desktop software from the Voopoo website. Custom settings that can be changed include personal logo, puff time, screen brightness, power curve and the default TC control wire setting. At the top of the unit, there’s a 510 springloaded connection bezel for level atomizer installs. The mod is constructed with a 32 bit US Gene Fun Chip from the world’s largest provider of eCig chips. As a result, it can fire with an output up to 130 watts with atomizers that have a resistance of 0.05ohm and up or 157 watts if the atomizer resistance is 0.10ohm or higher. Clicking the large firing button three times allows for easily switching between modes. In addition to power mode, there’s also three temperature control modes that are compatible with either nickel, titanium or stainless steel coils up to 600 degrees Fahrenheit. One unique benefit of the Voopoo Drag is that it has the fastest firing speed of 0.025 seconds for instant vapor production. 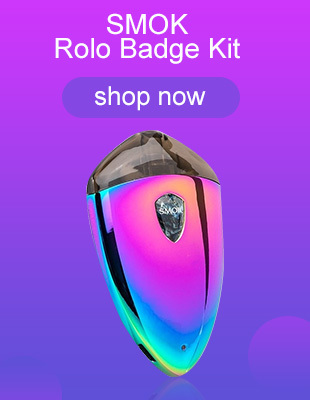 And, all the safety features a mod could possibly need or built into the device including reverse polarity protection, switch timeout protection, over-temperature protection, over-current protection, over charge protection, over discharge protection and short circuit protection. Two dual external 18650 power the Voopoo Drag Mod. They are easily installed into the battery bay by removing the Carbon Fiber panel that stays in place via four powerful magnets. A micro USB onboard charging system also allows for topping off the cells without removing them. Balance charging technology ensures a safe vape experience and occurs with a current of 5V/1800mA. The USB port is also used for future firmware upgrades in case new technologies come into the vape marketplace.